The FABULOUS NEWS for YOU is: While Yes, I've made progress and *most importantly* I feel so much better in my own skin, I STILL HAVE TONS OF WORK TO DO/FLUFF TO LOSE to get back to my goal FOR SUMMER! Believe me ... Camera angles can hide a lot --IT IS THERE & you'll see better in the video on "DAY 90" of my current challenge. So what's the fabulous news part? I'm doing a BRAND NEW 90 DAY Bikini Body Mommy Challenge!!! You heard me right... ALL NEW 15 MIN WORKOUTS -- all NEW 20 Min HIIT ROUTINES -- EVERY WEEK over the course of the 90 Days! MARK YOUR CALENDARS & Start TAGGING your GIRLFRIENDS ... Monday, MAY 5th my BIKINI BODY MOMMY CHALLENGE 2.0 Begins!!! 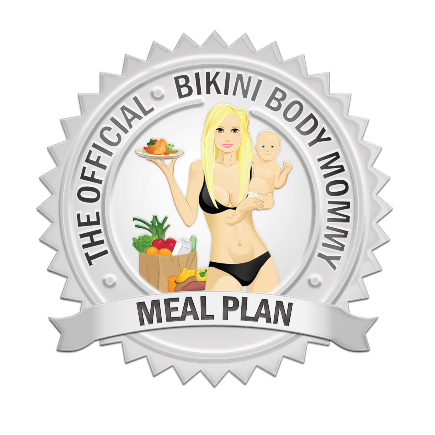 If you aren't already Signed up for my WEEKLY MEAL PLAN --You'd better take 2 seconds do that NOW! I'll be releasing all 12 Weeks of Meals for the NEW 90 DAY CHALLENGE in a Downloadable PDF BEFORE MAY 5TH -- along with ALL 12 corresponding Shopping lists and RECIPES! The point of the PDF package? So you won't have to worry about logging into your dashboard, saving emails, or losing any of the previous weeks recipes! WOO-HOO!!! And incase you missed it... ALL OF THE NUTRIENT CONTENT INFORMATION IS NOW BEING UPLOADED for Each Recipe! Calories...grams of protein-carb-fat-sugar...sodium, cholesterol, etc... IT'S ALL THERE! Hurry ... Start Your FREE 7 DAY TRIAL and Check it Out TODAY! Newer PostAre YOU following the Exclusive "BEHIND THE SCENES" Fun? Older PostYes, But What About YOU?